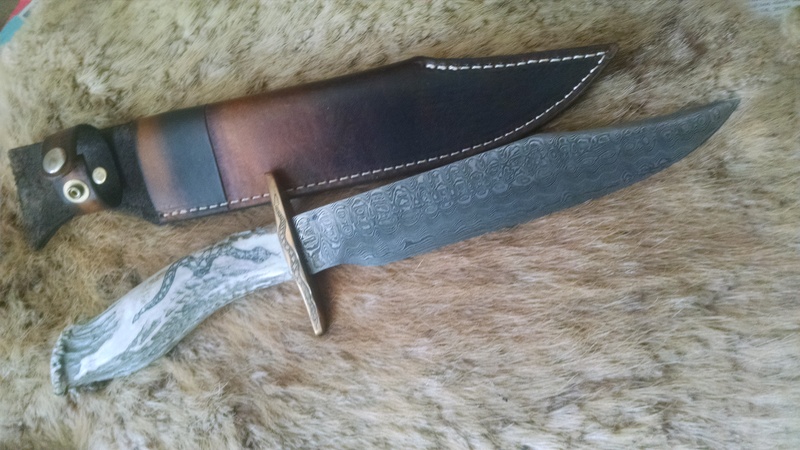 The Rattlesnake Round-Up heirloom knife is handmade by David and has a 4-hour etch! It is a full 3/16″ thick spine, 9 ” long blade and 1-1/2″ deep. 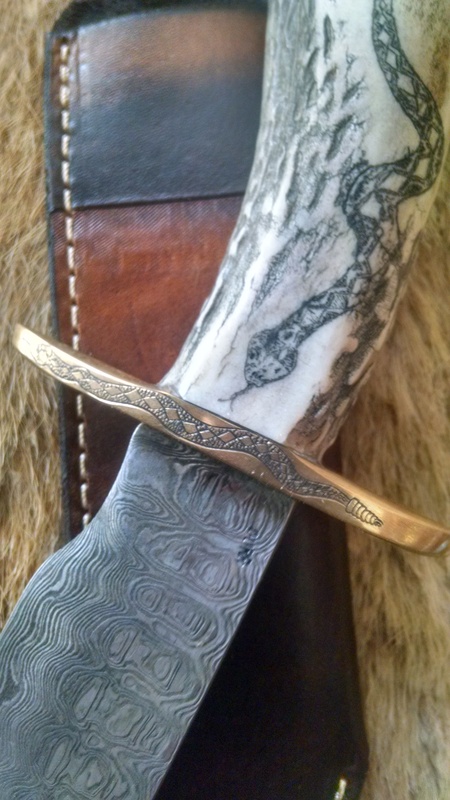 Overall length is 14-1/2″ Brass guard is freehand engraved on both sides by Jeff Loeher. 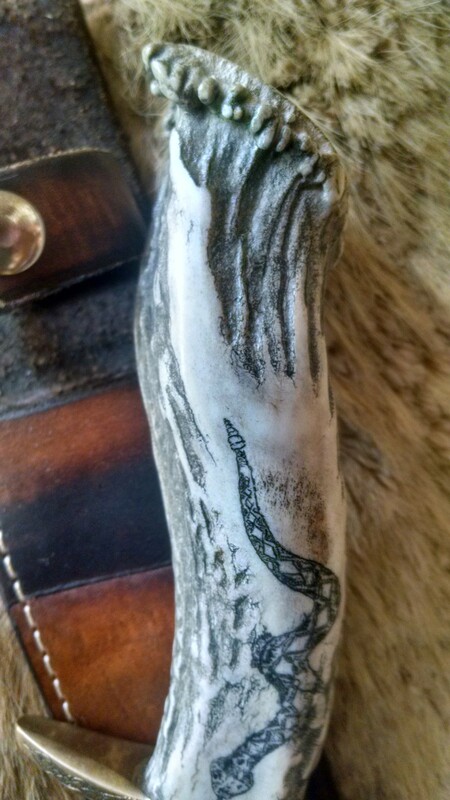 Grip is White Tail Deer Antler with Rosette and also engraved Rattlesnake. 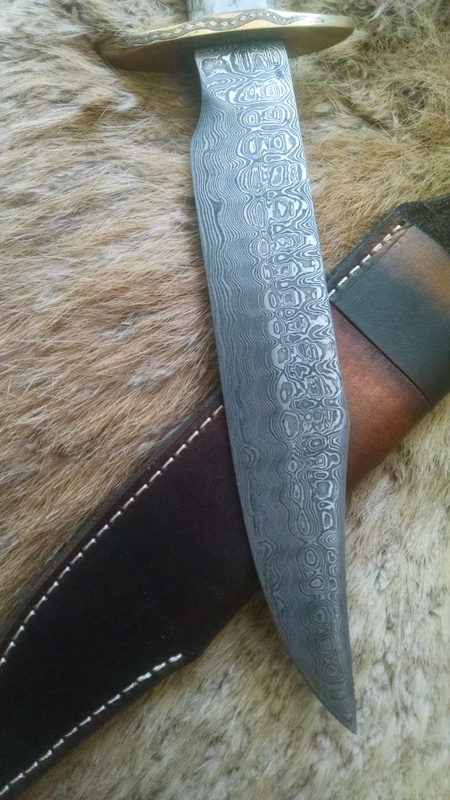 Sheath is heavy-duty custom-made by Bob Rich. This is a one-of-a-kind knife and comes with a Durr Knives Certificate of Authenticity.